Get glowing with the reviving and energising scent of Natural Collection Passionfruit Shower Gel that lathers skin leaving it cleansed and refreshed. Massage gently onto damp skin and rinse off thoroughly. This is not a posh product but for everyday this is a really nice sweet fruity passionfruit smelling shower/bath gel. It is good value and leaves my bathroom smelling great. It doesn't really moisturise at all but cleans and smells nice. Great value product, but more floral than fruit. Value product. Widely available at Boots. Scent does not live up to its name. This product was a little disappointing compared to others in the range, the scent is more floral than fruit and it does not last on the skin. However it is still a great value product. I absolutely love this shower gel, it leaves skin nice and clean and the scent is so delicious and fruity. Lathers up really well and lasts ages! 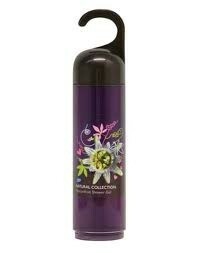 "This is not a posh product but for everyday this is a really nice sweet fruity passionfruit smelling shower/bath gel. It is good value and..."